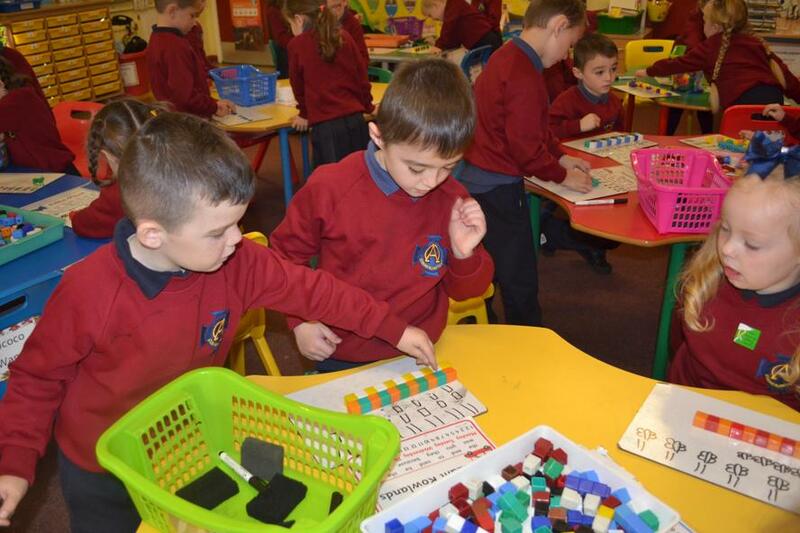 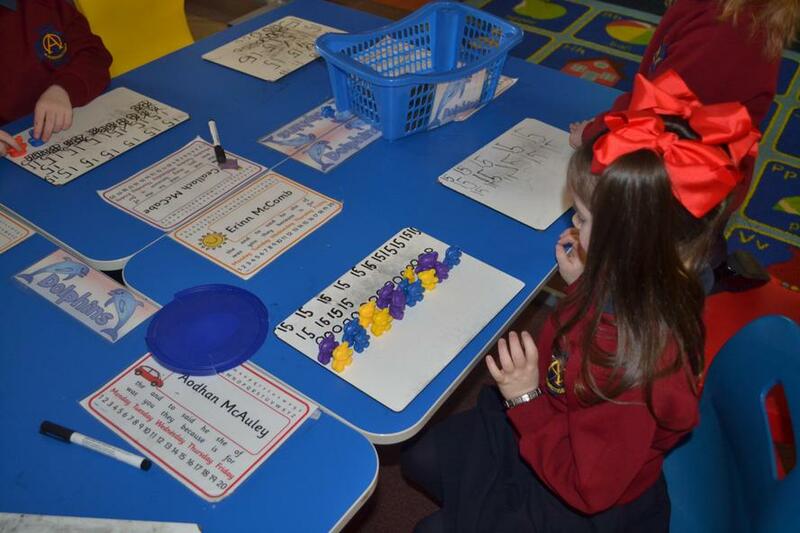 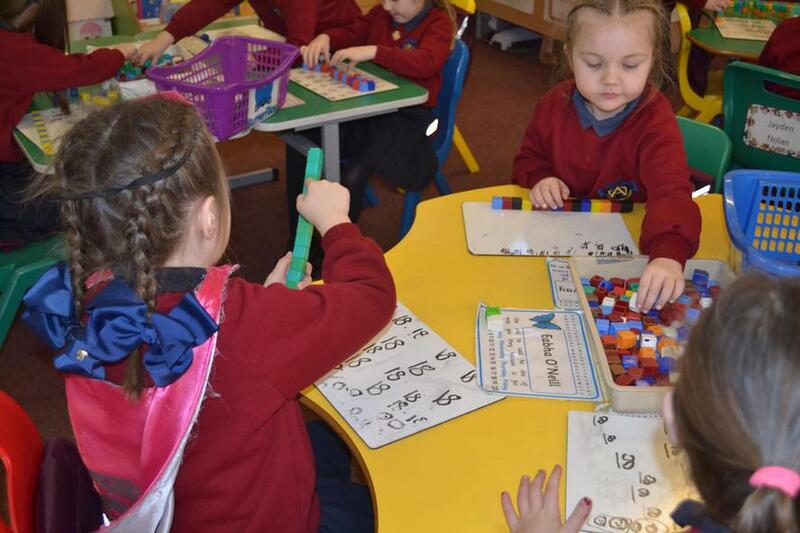 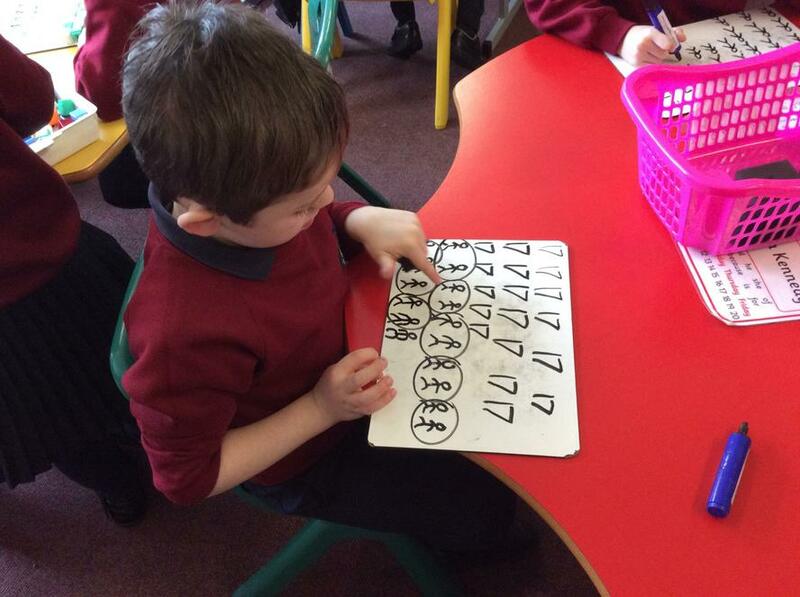 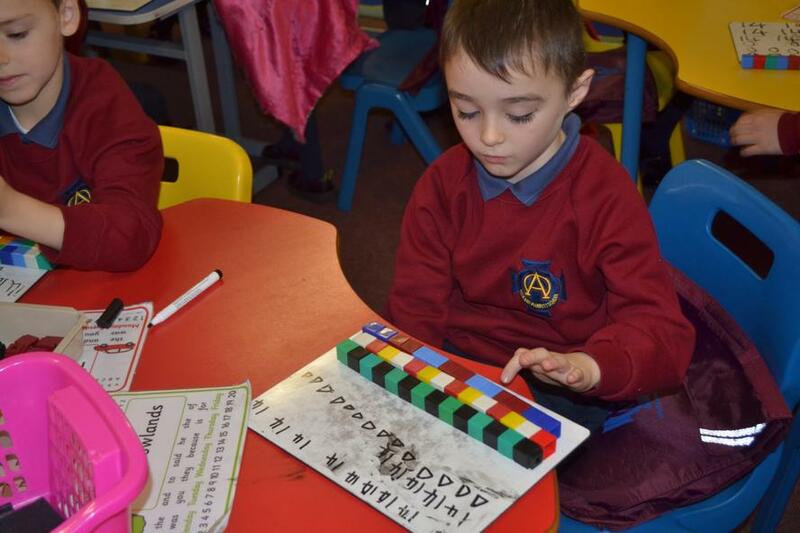 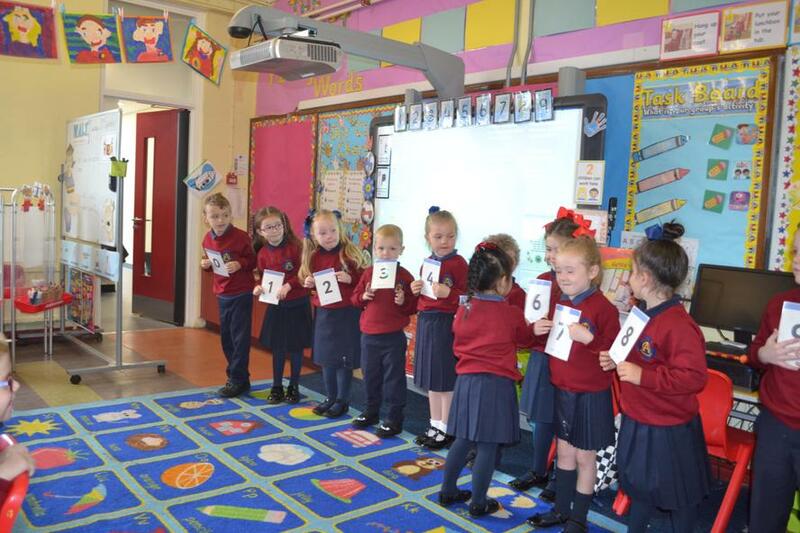 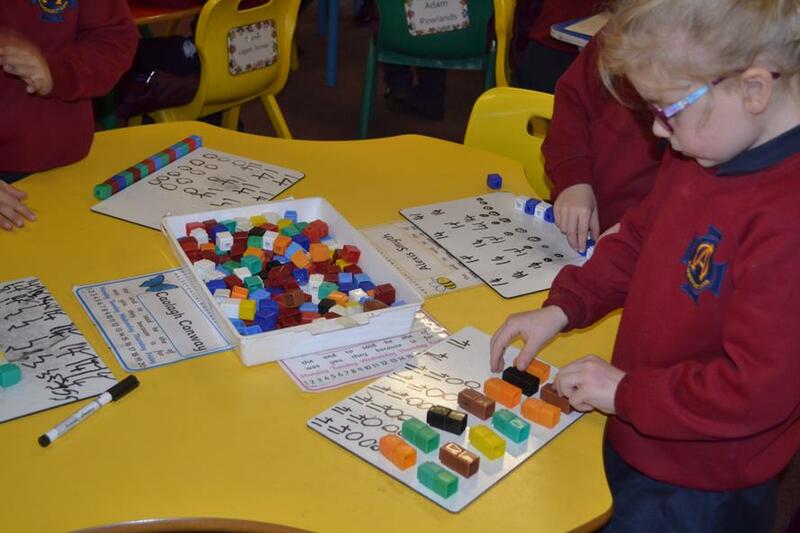 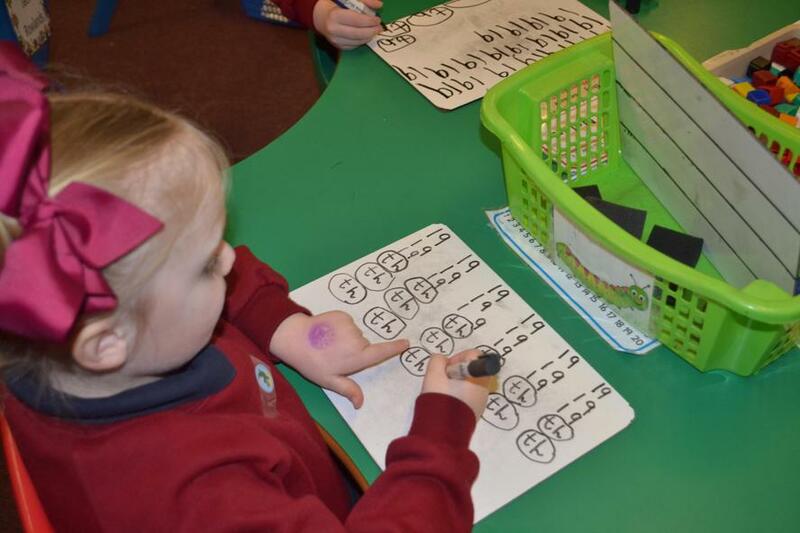 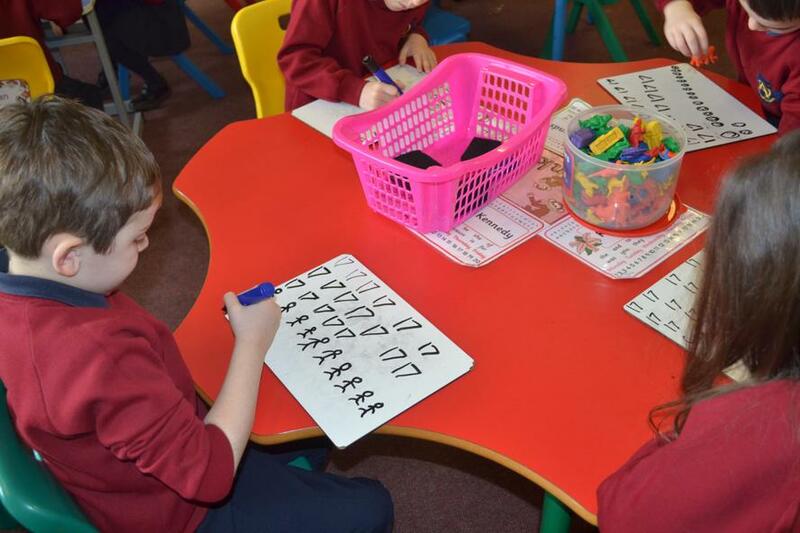 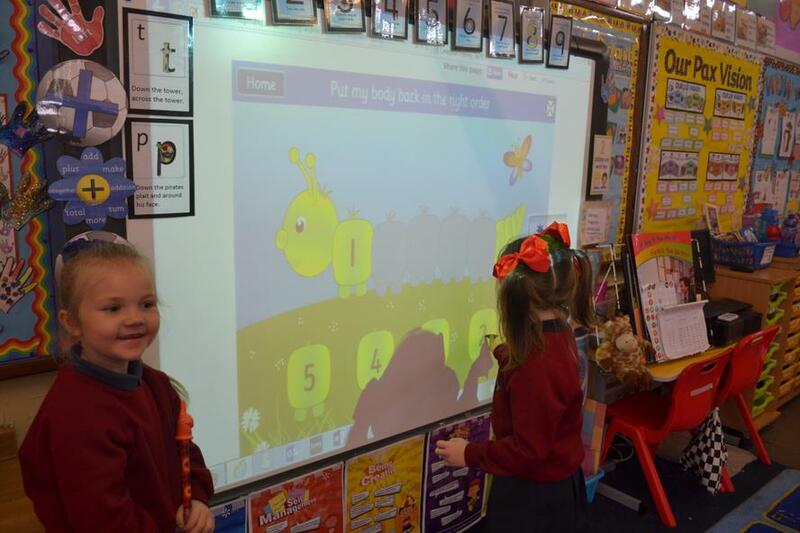 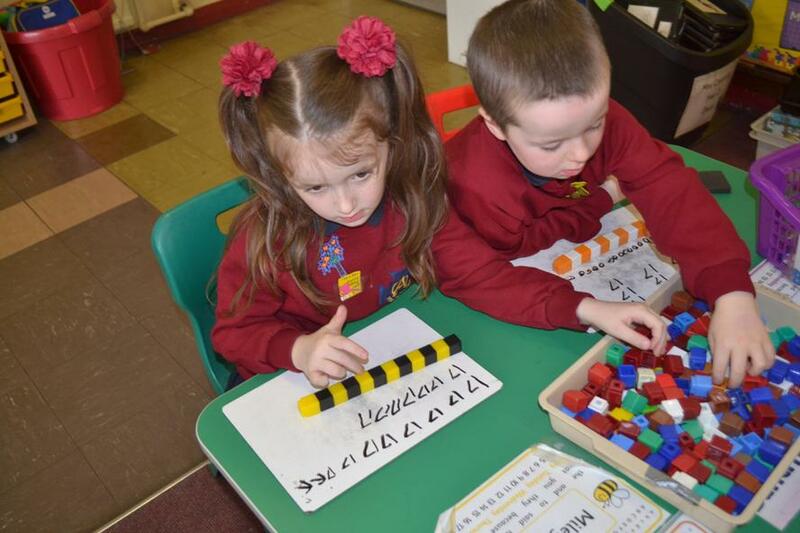 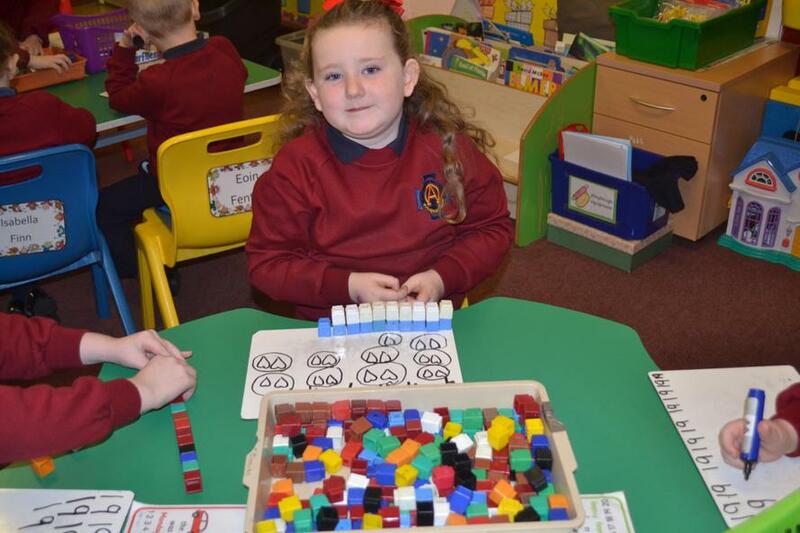 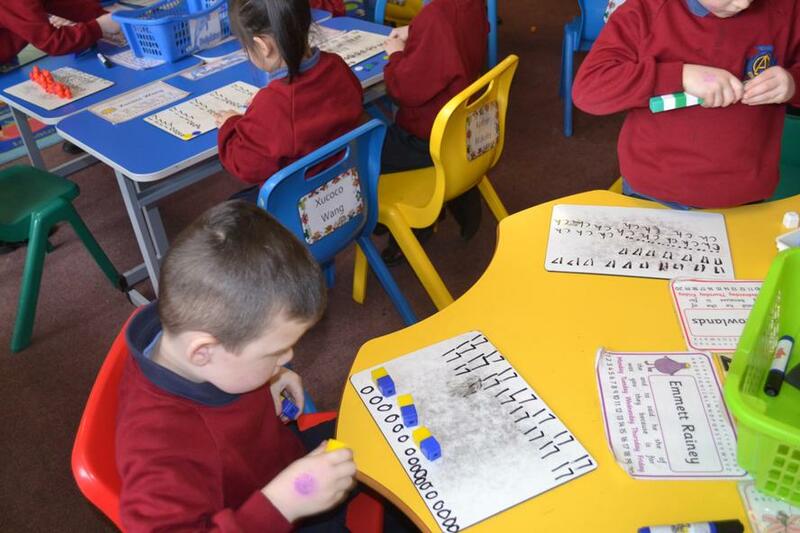 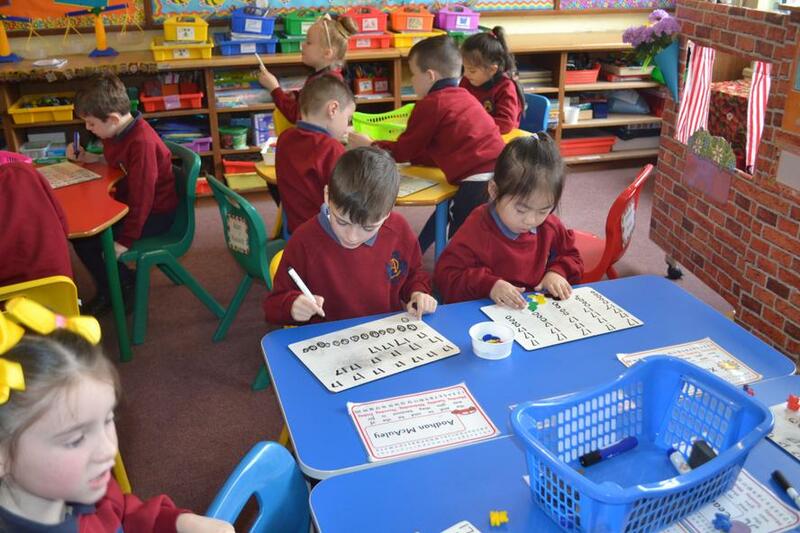 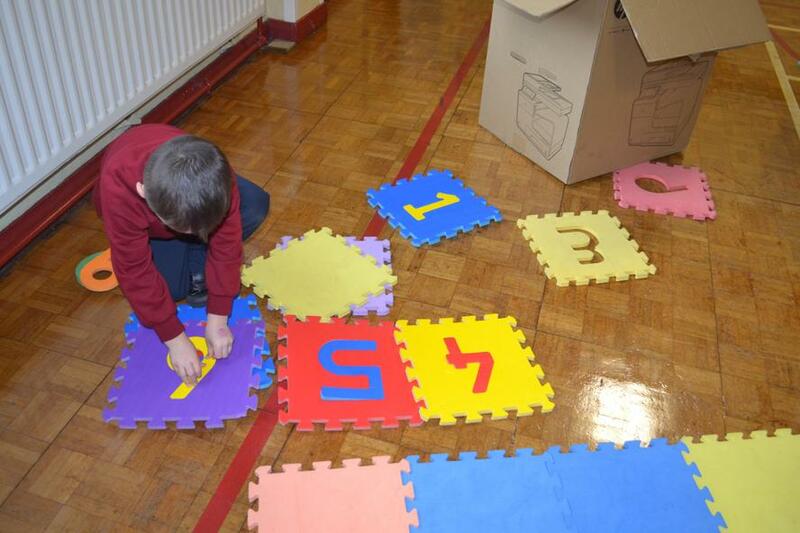 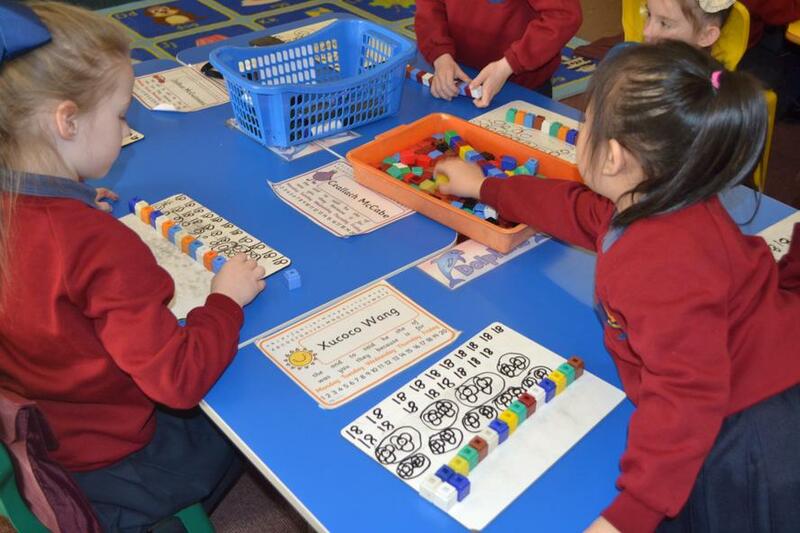 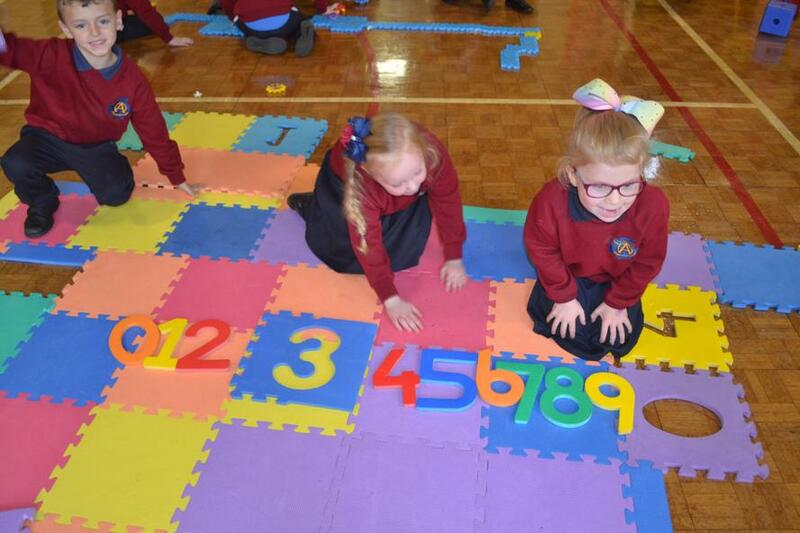 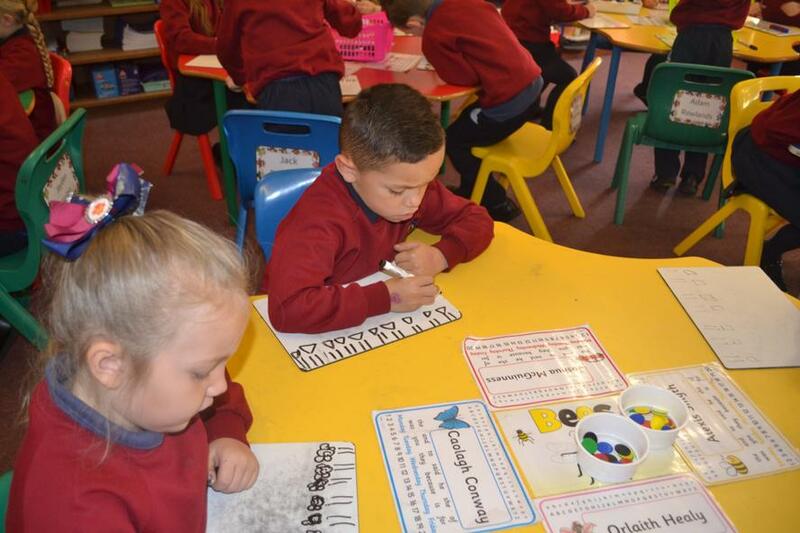 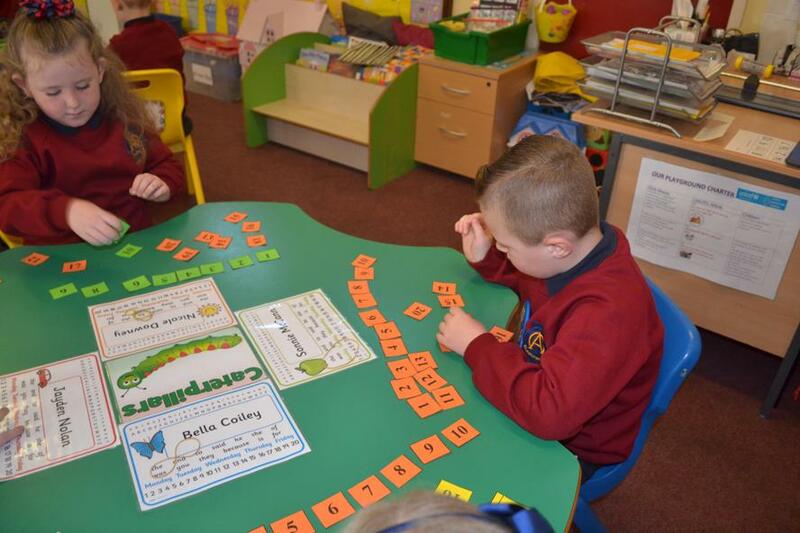 The pupils love playing Number Bingo, which helps improve their number recognition. 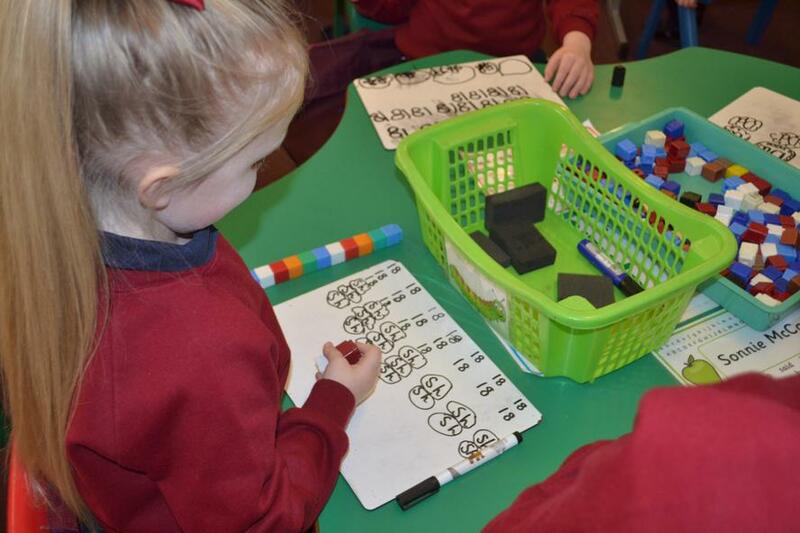 Clues are given for each number called in order to challenge the children as well as excite them, for example; it's the number before 4/after 8, it's between 1 and 3 etc. 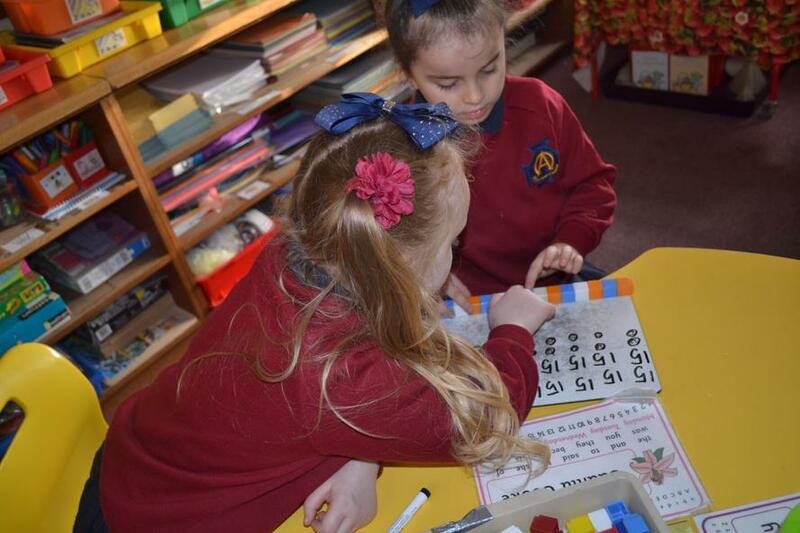 The children then work out the answer mentally and find it on their individual bingo card before covering it with a counter. 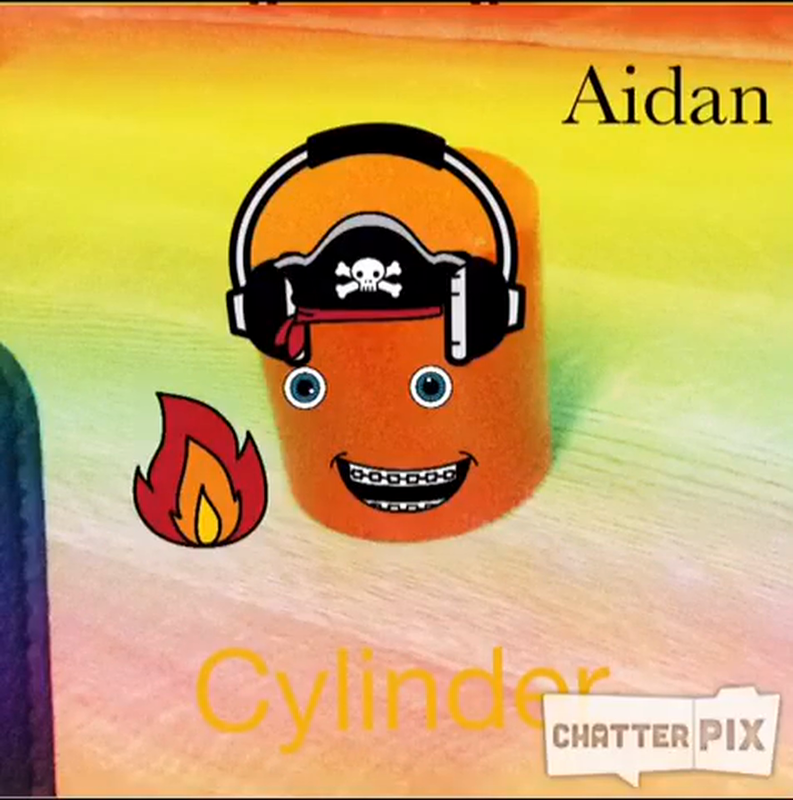 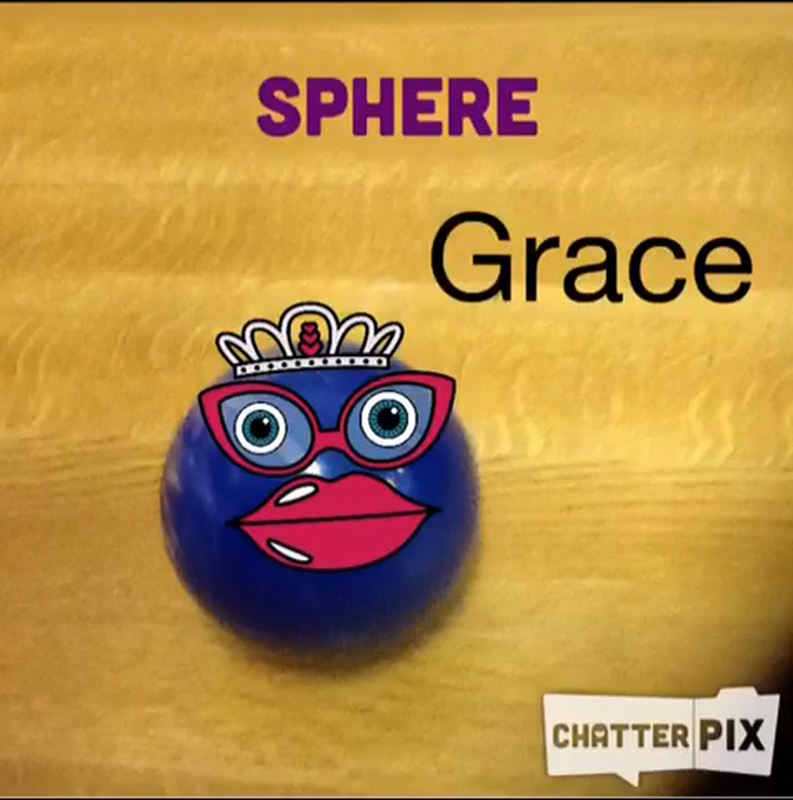 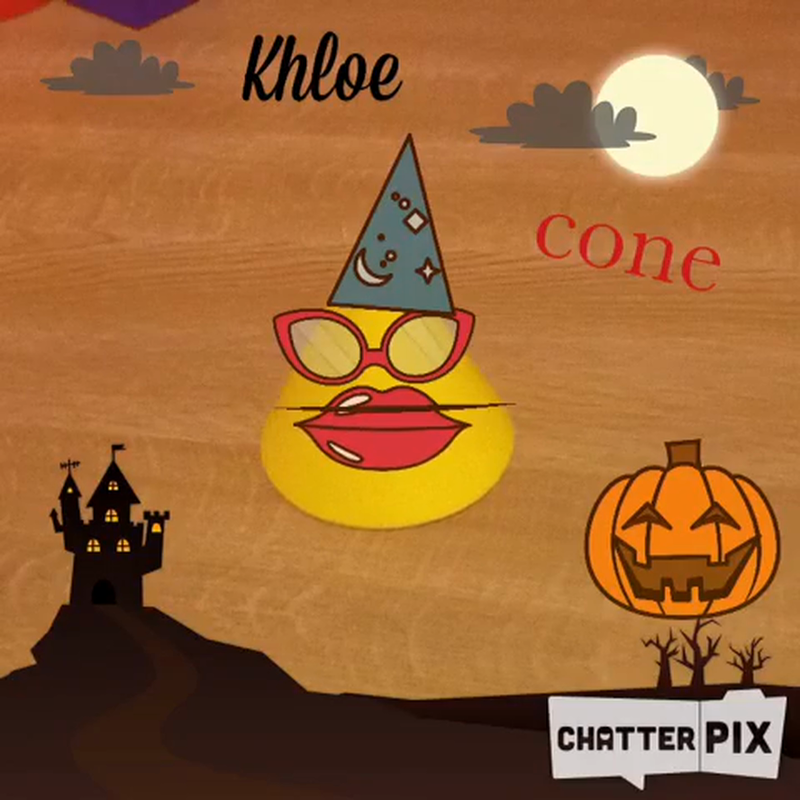 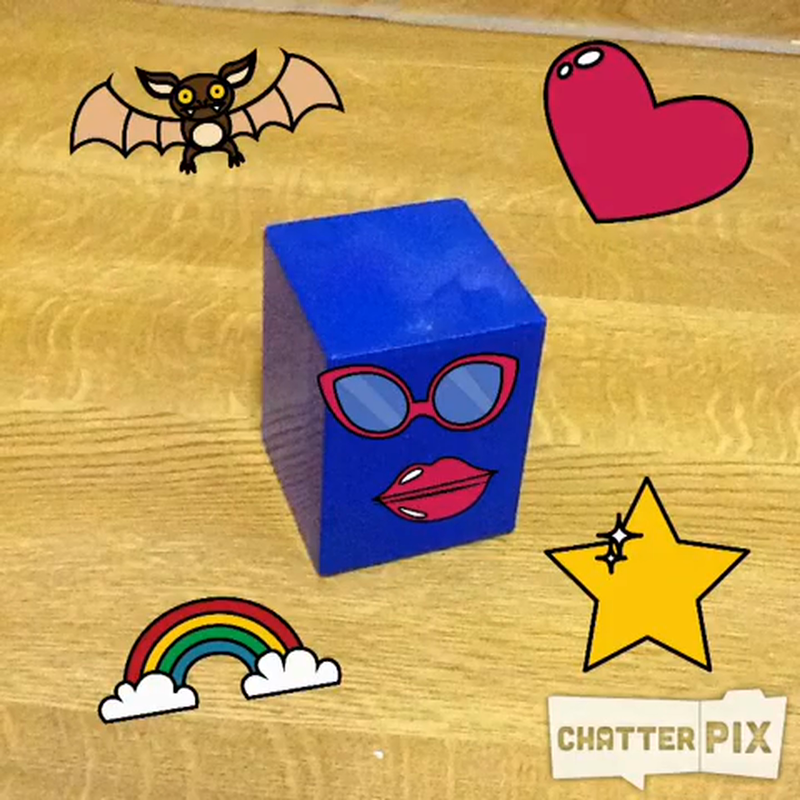 The pupils used the app 'ChatterPix Kids' to describe the properties of 3D Shapes. 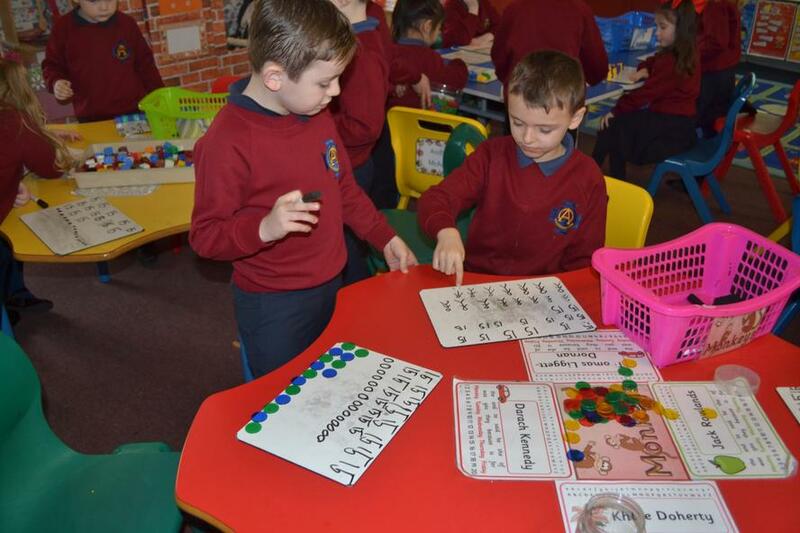 After learning how to tell and show o'clock times, the children enjoyed working in pairs and asking their peers to show different times on individual clocks. 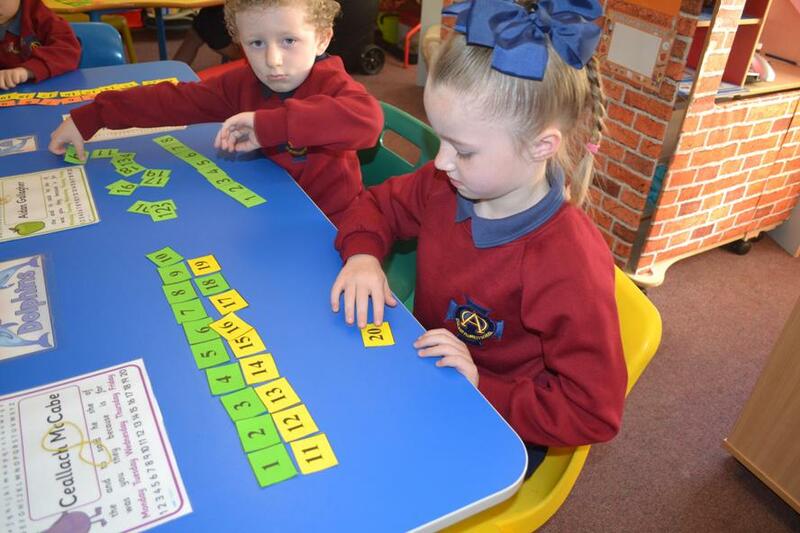 The pupils thoroughly enjoy playing 'Game Box Numbers' to help develop their knowledge of number bonds to 10. 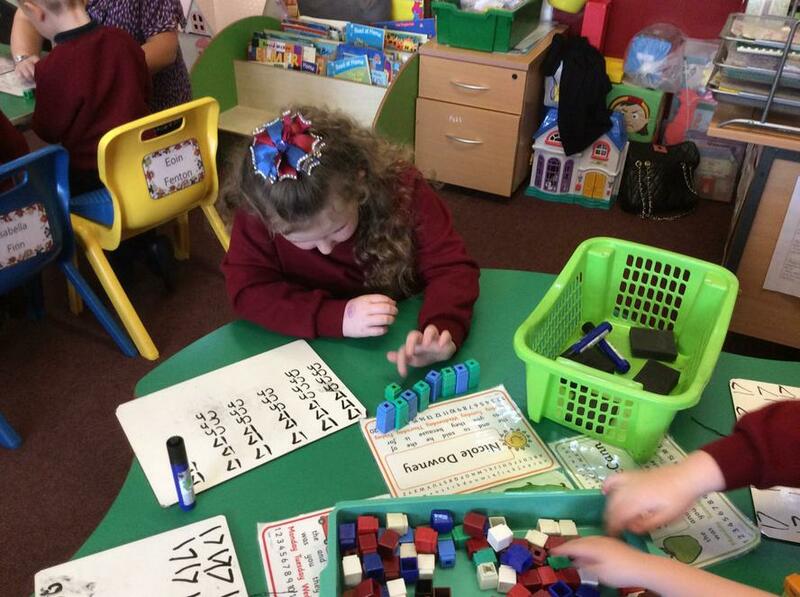 It involves the children working in pairs. 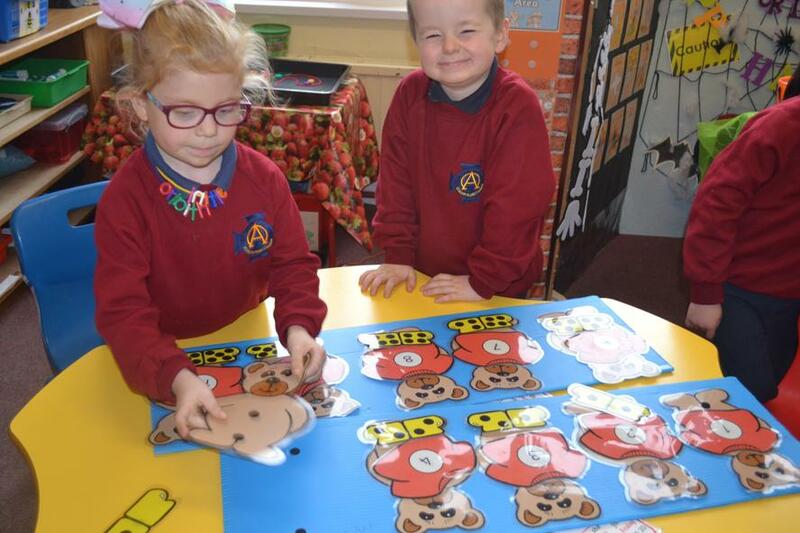 One child must hide teddy bears in a box while the other guesses how many are hidden, depending on the number of bears left out of the box. 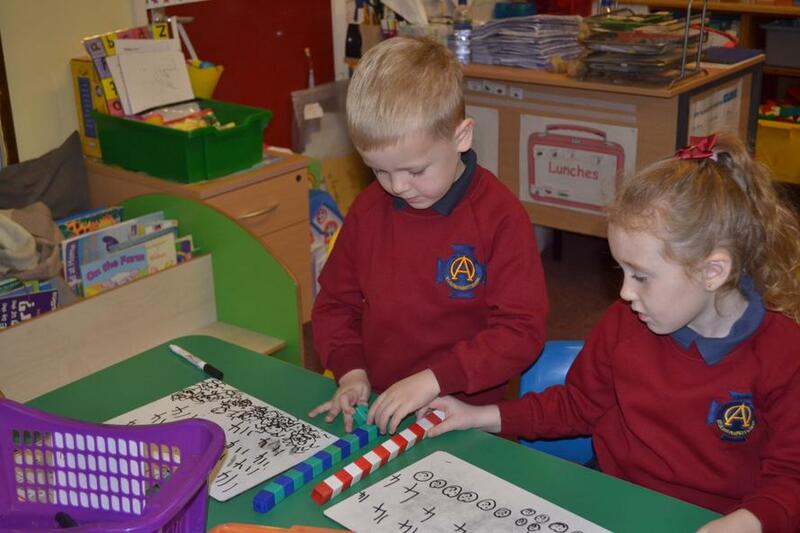 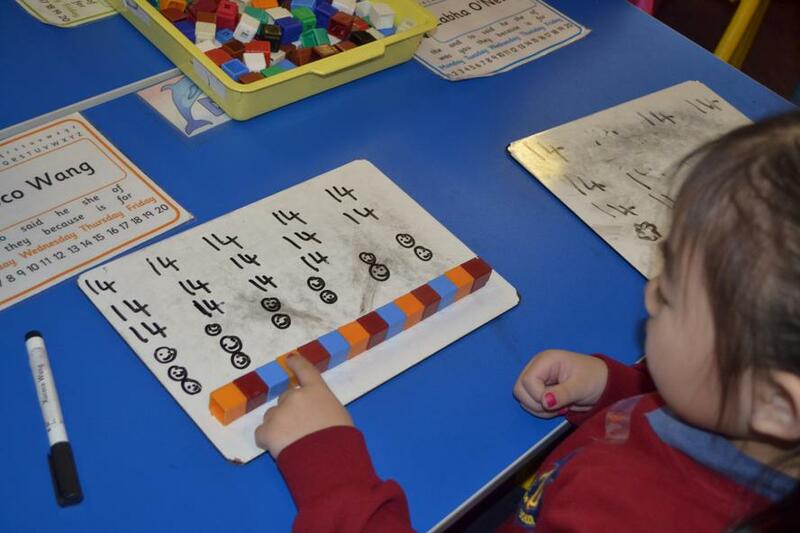 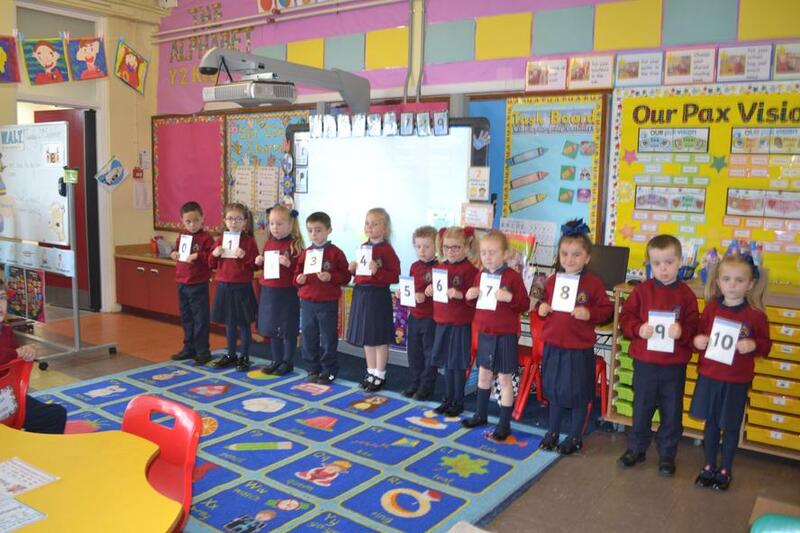 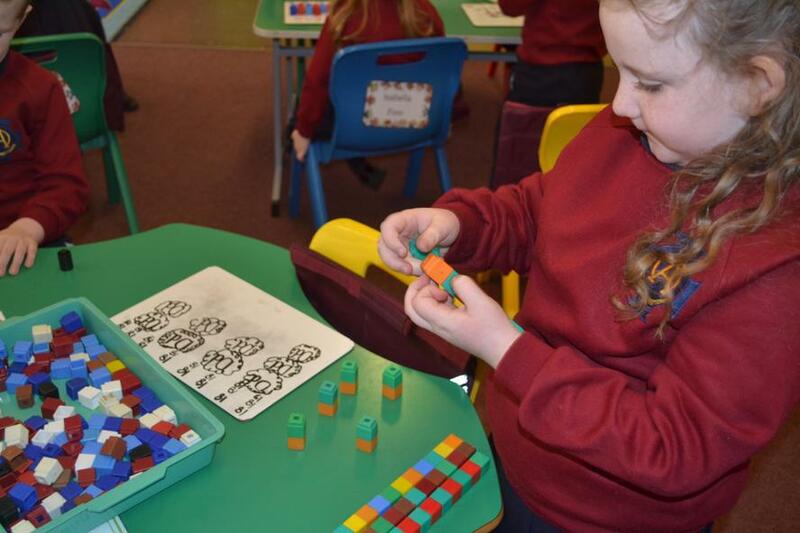 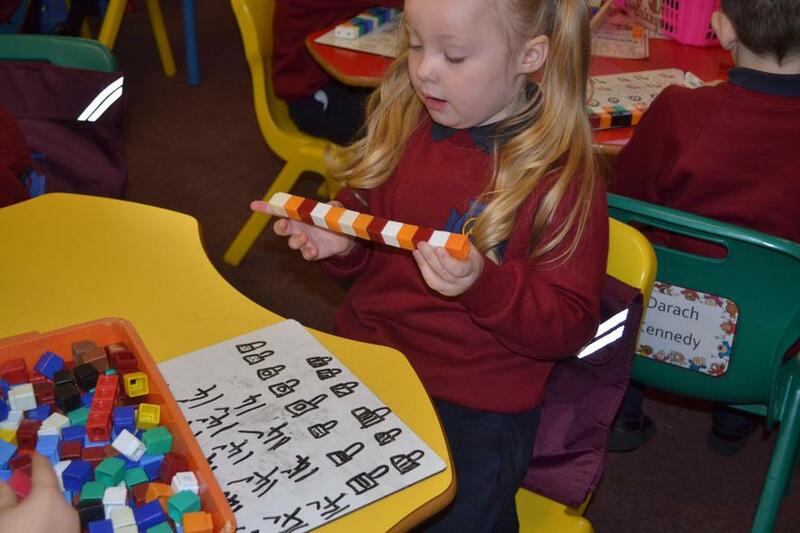 The pupils discussed which non-standard units would be appropriate to measure objects in the classroom and estimated the length of the objects before measuring. 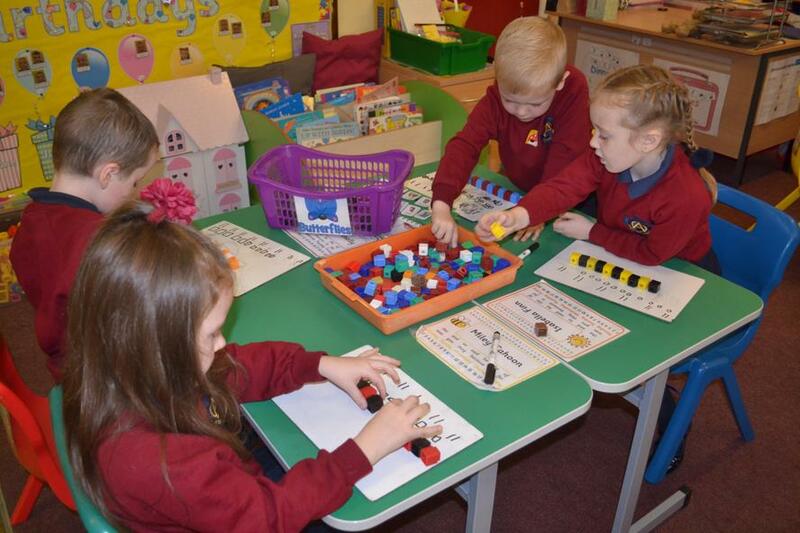 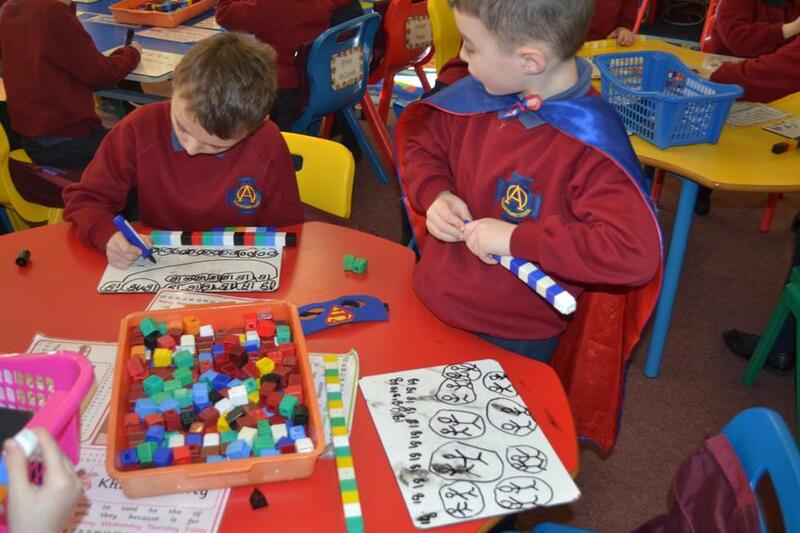 They enjoyed measuring and comparing things around the classroom using their hand span, feet and cubes.